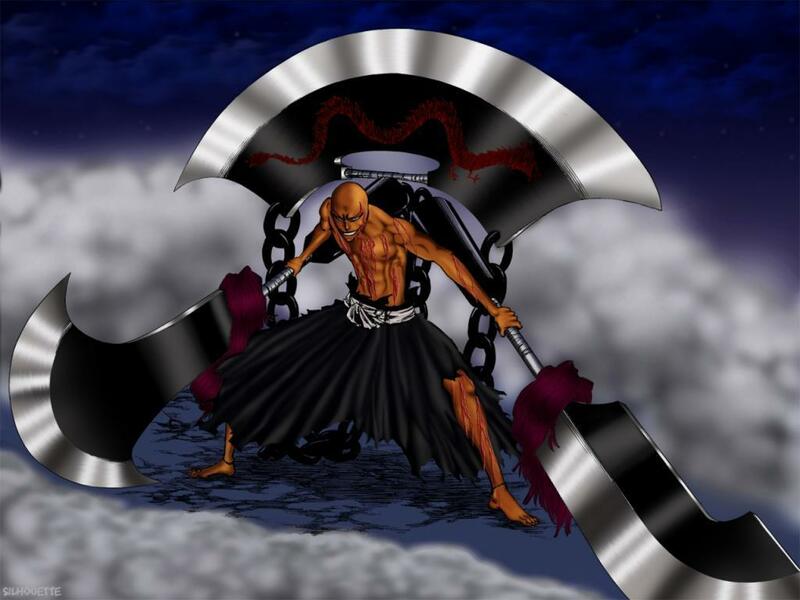 Ikkaku bankai. . HD Wallpaper and background images in the Bleach Anime club tagged: bleach ikkaku madarame. This Bleach Anime fan art contains cleaver, meat cleaver, and chopper. There might also be tomahawk, hatchet, battle ax, and battle axe.